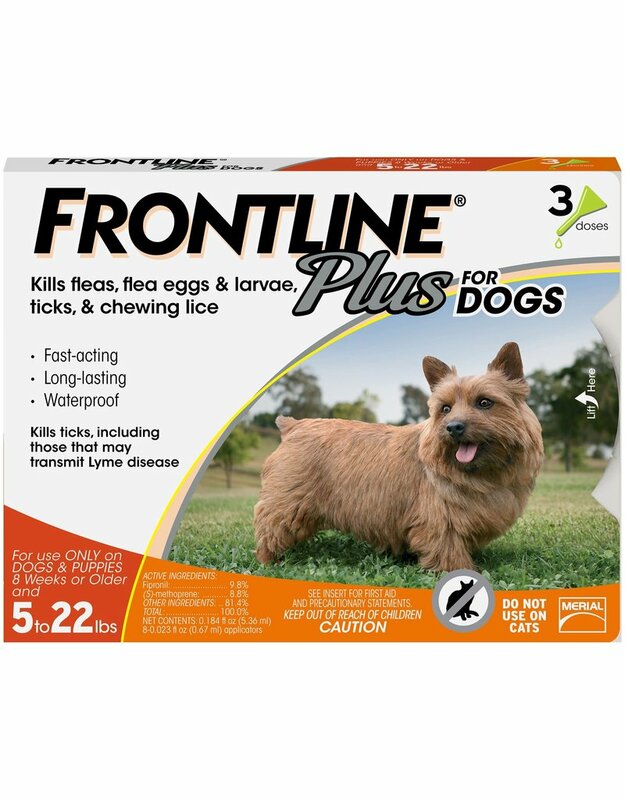 FRONTLINE Plus for Dogs doesn’t just kill adult fleas and ticks but also slays the next generation of flea eggs and larvae. Plus, it works non-stop for 30 days on dogs. 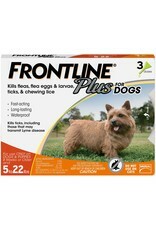 FRONTLINE Plus for Dogs has 2 tough killing ingredients. The 1st, fipronil, kills adult fleas and ticks. The 2nd, (S)-methoprene, attacks flea eggs and larvae. They work together to kill all month long. Plus, it breaks the flea life cycle. By also destroying the next generation of flea eggs and larvae, Frontline Plus gives you the power to help prevent a flea infestation on your pet. Frontline products are highly recommended by veterinarians for flea and tick control for dogs. Provides fast-acting, long-lasting treatment and control. Safe for use on dogs and puppies 8 weeks or older between 5-22 pounds. Kills adult fleas plus flea eggs and larvae to stop existing infestations and prevent the establishment of new infestations. Trusted by veterinarians for nearly 20 years. Your pet may experience some temporary irritation at the site of application. If signs persist or become severe within a few days of application, consult your veterinarian immediately. Observe your pet following treatment. Sensitivities may occur after using ANY pesticide product on pets. Please read entire manufacturer’s insert prior to using product. Approved for use in breeding, pregnant, or nursing animals. Consult with veterinarian before using on sick, medicated or aged animals.